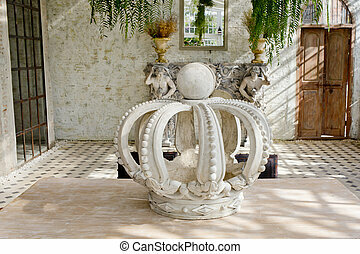 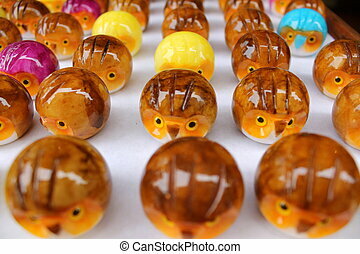 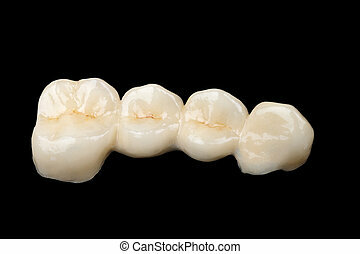 Ceramic crown. 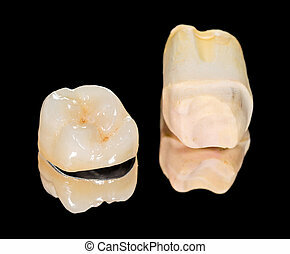 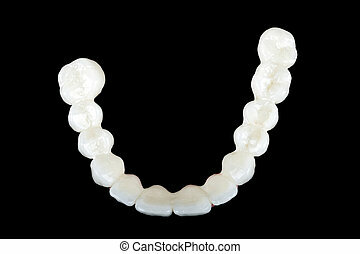 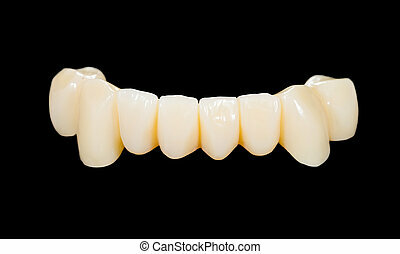 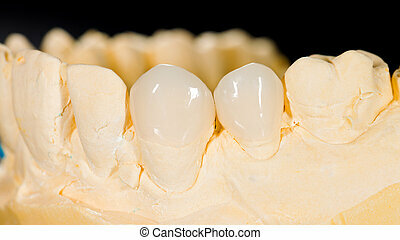 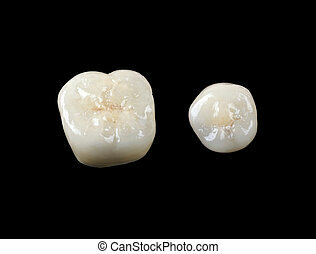 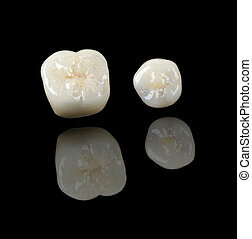 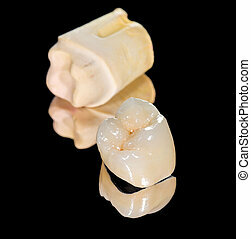 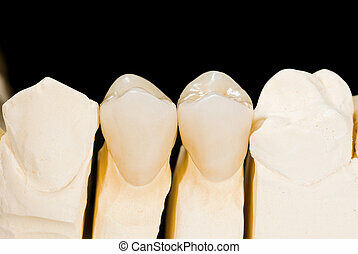 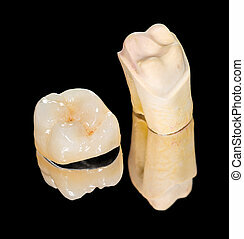 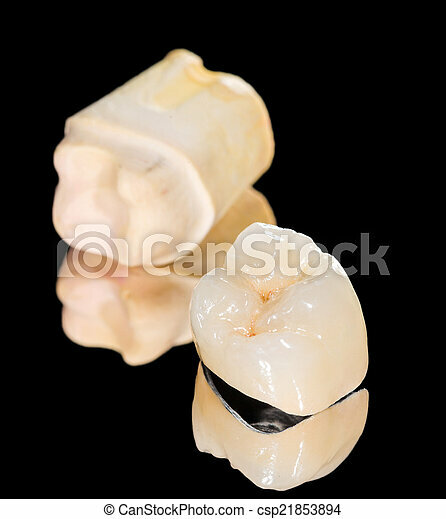 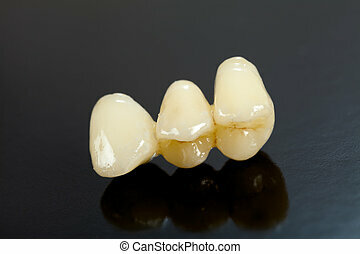 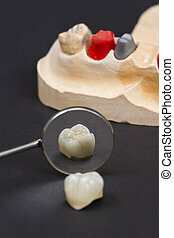 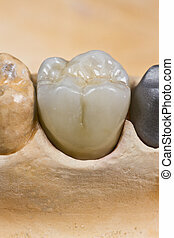 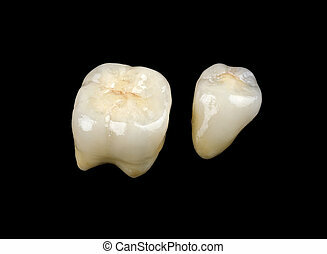 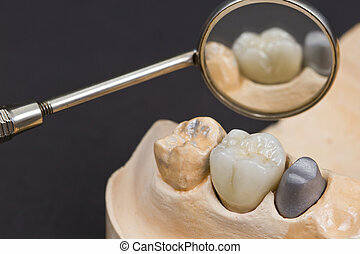 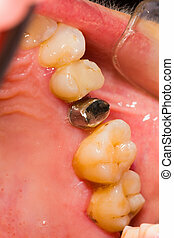 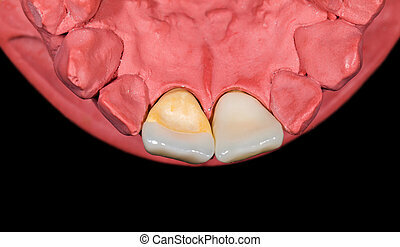 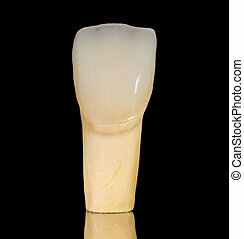 Metal ceramic crown on isolated black background. 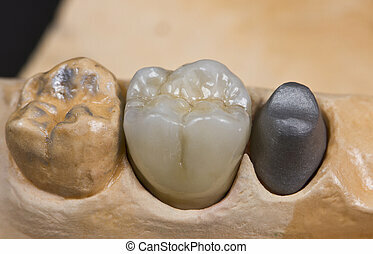 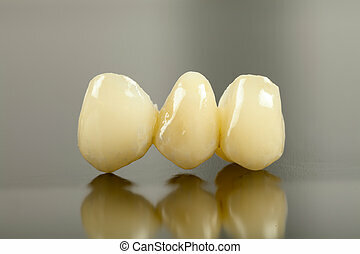 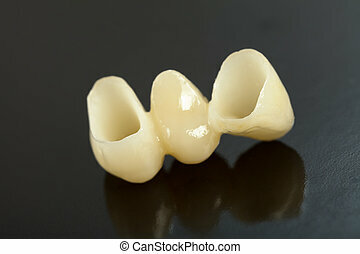 Metal bases for future ceramiic crown for patient. 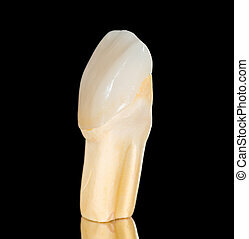 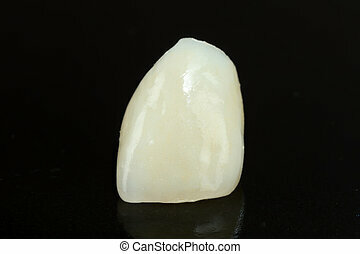 Highly aesthetic emax pressed ceramic crown. 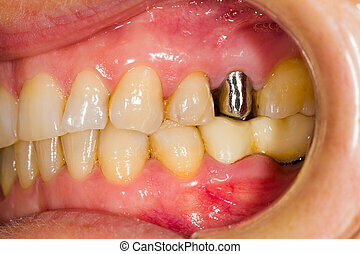 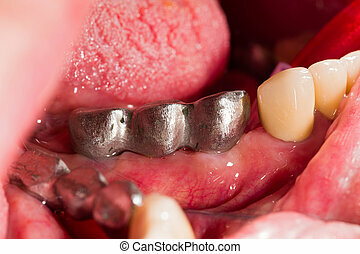 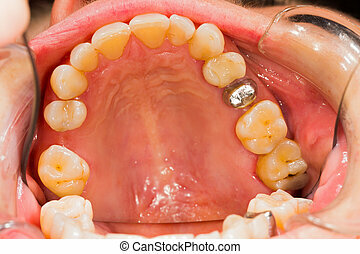 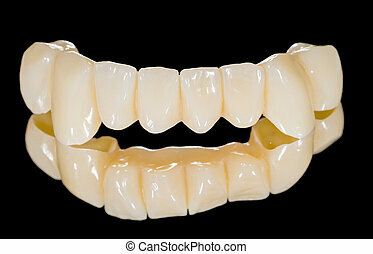 Metallic frame for metal ceramic crown on implant. 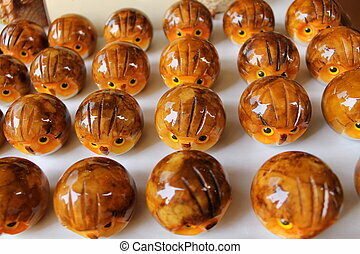 Trial before the final form.